No matter who you are or what your goals are, you need to detoxify. Did you know the secret to an effective “whole body detox” might just be carbon? Actually, activated carbon (aka activated charcoal) is the more accurate term. The first recorded use of charcoal for medicinal purposes was found in Egyptian papyri around 1500 BC as a method of staving off infection from open wounds. Since then, healers have used activated charcoal to soak up poisons and improve intestinal health through a process called “adsorption.” No, that’s not a misspelling. It’s important to understand the difference between absorption and adsorption. When something is absorptive, that means it soaks up other substances, but when something is adsorptive, that means it binds to substances. 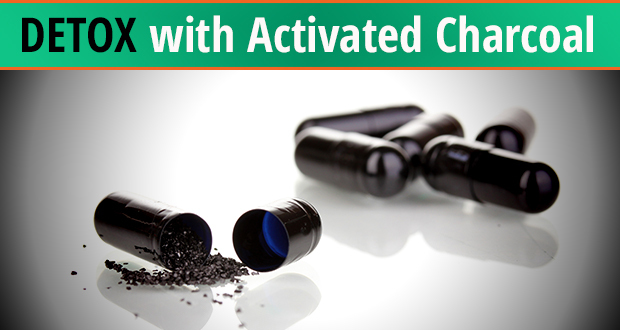 Activated charcoal actually uses a thin film on its outside surface to bind toxins and poisons. Ancient physicians used regular charcoal for a variety of medical purposes, including treating epilepsy and anthrax. In the early 20thcentury, the development of activated charcoal sparked many medical journals to publish research revealing its effectiveness as an antidote for poisons. Today, beyond use in hospitals as an antidote for drugs and poisons, activated charcoal is a global remedy for general detoxification and intestinal disorders. You make activated charcoal by burning a source of carbon (wood or debris or coconut shells). The high temperature removes all the oxygen and activates it with gases like steam. Basically the process that creates activated charcoal (steam heating and oxidation) ends up creating an adsorbent internal lattice of very fine pores that capture, bind, and remove poisons, heavy metals, chemicals, bacteria, toxins, and intestinal gases which have thousands of times more weight than the charcoal itself. It’s hard to believe, but just two grams of activated charcoal powder has about the same surface area as an entire NFL football field! The porous surface has a negative electric charge that attracts positively charged toxins and poisons; it binds them, and escorts them out of your body through the elimination process of your intestines. Toxins from low quality, GMO, processed food, and environmental pollution are real problems. It is important to help your body eliminate them to promote a healthy digestive system and brain. Chronic exposure to toxins produces cellular damage, allergic reactions, compromised immunity, and more rapid aging. Regular use of activated charcoal can remove unwanted toxins from your body, leaving you feeling renewed and more vibrant − often in minutes! Activated charcoal helps unwanted bacteria move through your system faster before they spread and multiply, helping you feel better faster. 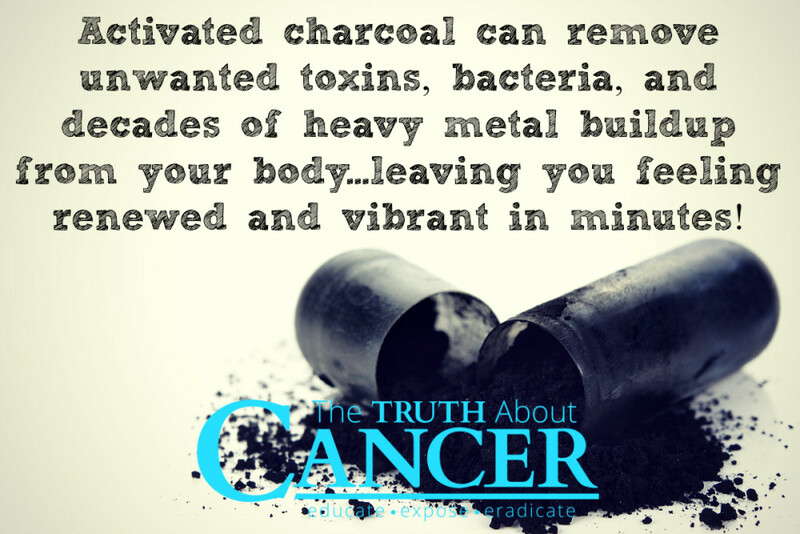 In addition, activated charcoal flushes out all the toxic heavy metals (such as arsenic, copper, mercury, and lead) that are stored in your body, sometimes for decades. The best long-term study on the detoxification benefits of activated charcoal was conducted by Professors David O. Cooney (University of Wyoming) and Thomas T. Struhsaker (Duke University). The two professors learned that the monkeys on the African island of Zanzibar eat charcoal from burned tree stumps in order to detoxify. I understand if the idea of swallowing a spoonful of what is essentially ash may not tickle your fancy. However, activated charcoal is completely odorless, tasteless, and safe to consume and can be purchased in handy capsules or tablets. And it’s a powerful detoxifying agent to boot! Editor’s Note: This article was originally published in April 2015. 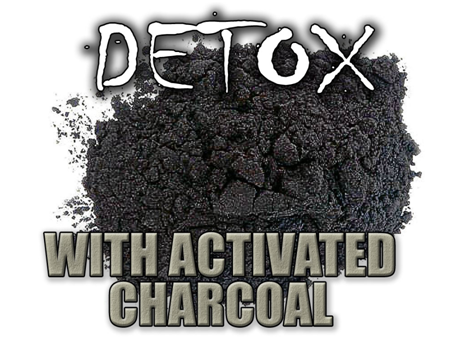 The secret to an effective “whole body detox” might just be activated carbon (aka activated charcoal). Ancient physicians used regular charcoal for a variety of medical purposes, including treating epilepsy and anthrax. Today, beyond use in hospitals as an antidote for drugs and poisons, activated charcoal is a global remedy for general detoxification and intestinal disorders. The porous surface of activated charcoal has a negative electric charge that attracts positively charged toxins and poisons. It binds them, and escorts them out of your body through the elimination process of your intestines. Activated charcoal is completely odorless, tasteless, and safe to consume and can be purchased in handy capsules or tablets. What have you done to treat your melanoma? What have you used to treat your melanoma? Please share your discoveries with me. I’ve been on a scary battle for a few months and I would just love to hear everything you have found and learned in your journey. Ive been asking GOD to open doors for me as well. I still have an agenda in life that is extremely important to me. Thank you and GOD BLESS YOU! Hi nicki please share your discoverys with me I’ve been asking GOD to open doors for me as well. Thank you and GOD BLESS YOU! Will activated charcoal, remove nickel toxins from the body? 1-2 GRAMS which is 2-4 capsules of 500MG capsules. BUT you can safely take 10 of them if you wish.